We all long for a perfect body, however, with growing age, hormonal changes and unhealthy lifestyle, chances for anyone to end up with a bulky or lean physic become higher. For women, 36-24-36 is a measurement that is considered as the hourglass physic and the perfect one. If you too want to have an hourglass physic, the first deserving maximum attention is the shape of the breast. Throughout the world, one of the most debated topics is whether getting a plastic surgery done is safe to have one’s dream body. Yes is the answer! But obvious, when you have a body you dream of, your confidence as well as self-esteem will improve appreciably. If you have small breasts and want to know whether it will be fruitful to make a leap with breast augmentation, this information could help you out. 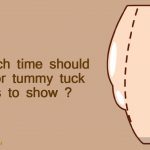 Breast augmentation is a technique that will help you to obtain a womanly shaped and attractive body with ease. It does not involve any such step that you need to be afraid of. The very first step is to discuss with the surgeon about undergoing breast augmentation. This discussion will help you to get an idea about the different variants of implants that are today available in the market. Generally, the choices will be silicone or saline implants. During this meeting, the surgeon will also examine whether your body is healthy enough to undergo this surgery. 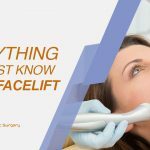 You will learn about that particular procedure which is perfect for you. 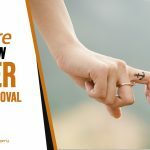 Adding on, you will get to know about the region where exactly an opening will be carried out and the location where the implants will get placed. Since this is a very intense surgery, you need to ensure that your surgeon is well experience and professional enough. It is very important for all the candidates of breast augmentation to get access to implants perfectly fitting their body frame. This is again something that your surgeon will help in discovering. Coming to the difference between silicon and saline implants, while the former is made up of gel, the latter is made up of salty water. 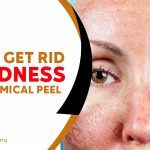 Many females all across India and throughout the world have undergone this procedure and are now leading their lives safely, with an added self-confidence. 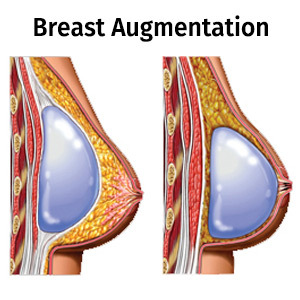 Wondering whether one should make a leap towards breast augmentation or not? If this is the question haunting you, think it in this way. When the question is all about being a woman, the bust line plays an essential role. Having full bosom is looked upon as a part of the feminine look. Many women having small bust lines often end up feeling uncomfortable in their own body. They make attempts of enlarging their bust lines by either stuffing or wearing push up-padded bras. But this eventually makes one feel uncomfortable and a natural feel is what they long for. This is when enhancement procedures come to play. It helps women to get augmented breasts and emancipates them from having small bust line or distorted bust line occurred due to weight change, mastectomy or pregnancy. To wrap up, there is nothing to feel afraid about the breast augmentation process. It is definitely safe and is completed within a couple of hours. As for the recovery period, it lasts for just few weeks. But what you need to take care for a successful surgery is selection of the best and highly qualified surgeons. Hence be wise and make the right choice, your body means everything to you, and you would surely don’t compromise on enhancing its aesthetic appeal, would you?